Hi everyone! I am Sibylle and my blog is called Funkytime. 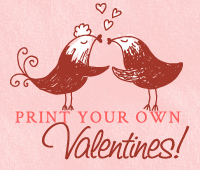 I love to design printables and I am always happy to contribute them to a lovely project, like this Valentine series. When I am not designing printables, I am strolling fleamarkets, second hand stores, tackle some diy projects and make websites and other graphic design work. I usually put way to much on my plate;-) I am also publishing a online magazine, which you can check out here if you like. 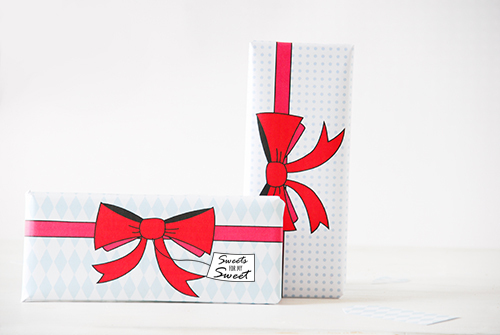 Today I thought, what better to give to your Valentine then some sweets! 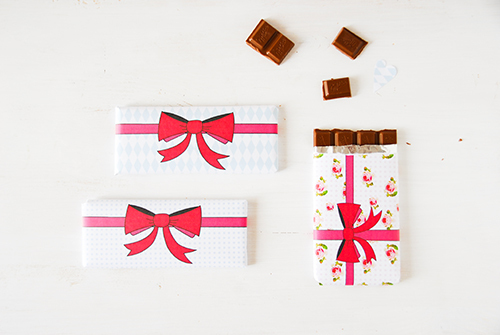 So here you go, 4 designs to wrap your chocolate. Sweets for my sweet! Do yo like what you see? Then like me on Facebook or tweet with me! Donna - Click on the bow that has the "download" tag on it that is towards the bottom ot the post. It's just above the line that reads "Do you like what you see? Then like me on Facebook or tweet with me!" I tried to find a place to print the candy bar wrappers but it kept sending me back and forth between Funkytime and Skip to my Lou I liked Funkytime on facebook but I don't know what else to do. Would you email me the PDF file for this. My email is [email protected] netcommander.com Thank you so much. 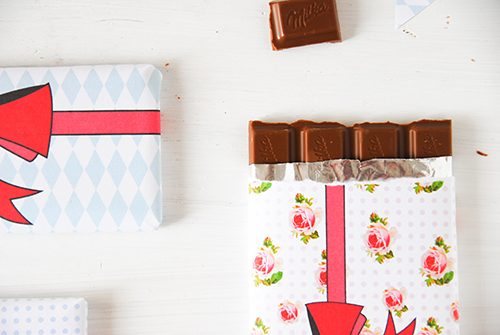 I LOVE printables and since I also LOVE giving chocolates for Valentine's Day, these are perfect. Thanks so much for sharing.